It’s really the most wonderful time of the year right now. The week before Christmas is full of fun, good food, family time and making sure you have not forgotten to do or to buy anything for all the food and fun. Weeks like this (and many during the school year) require some plan ahead and thought when it comes to dinner or you will find yourself in the drive through line more than you want to. Meals that can be tossed together with ready made ingredients I have on hand are one of favorite things during the holidays. I always have a jar of my Simply Tasty Pasta Sauce in the refrigerator and since we love pizza night so much around here, I can always find some shredded Mozzarella cheese in my cheese drawer. 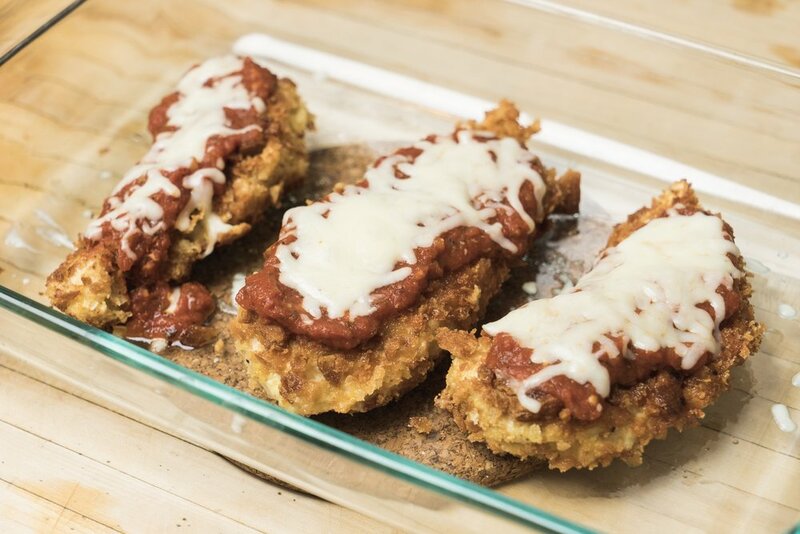 With these ingredients and some quick fried chicken, I was able to come up with this tasty take on Chicken Parmesan that is perfect for any night of the week, busy or not. We like to pair this with spaghetti tossed in pasta sauce and some good fresh bread (perhaps my Basic French Bread? ), but use what you have and what your people like. 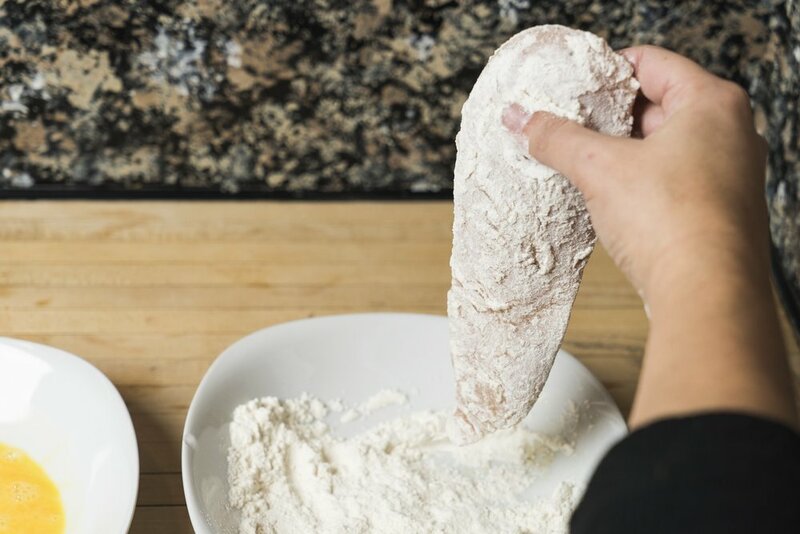 Food that is fast, filling, and uses common ingredients, now that is a Christmas miracle! Fry chicken for 8-10 minutes, flipping once, until chicken is golden brown and does not bend when picked up. Remove chicken from oven and serve with your desired sides. If you prefer a saucier and cheesier chicken, feel free to top your chicken with more sauce and cheese. The amounts are just a guideline for you to figure out what works for your crew! If the night is just non-stop and even stopping to fry chicken is a dream, this can be made with ready made refrigerated breaded chicken. 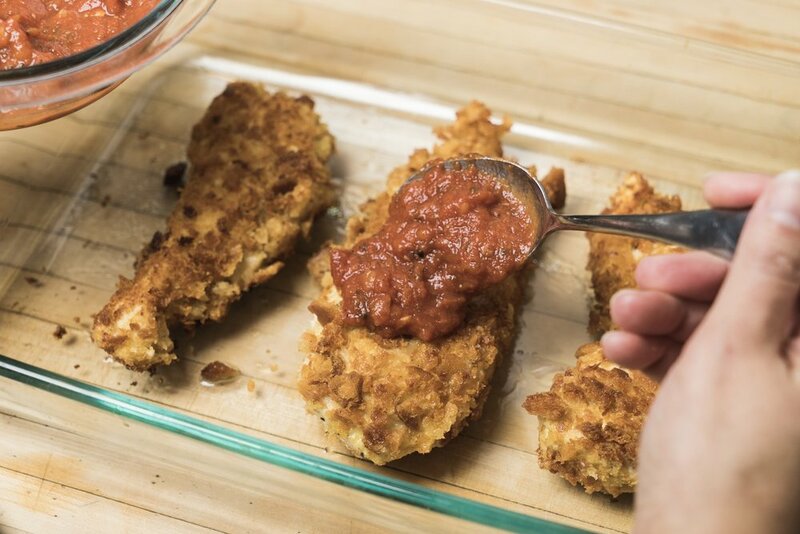 I have not tried with frozen breaded chicken but if you do, let me know how it works out! These make excellent leftovers so make a little extra for lunch the next day!